Deal: This Apple-optimized 7.5W Mophie wireless charger is 50% off, grab one for $20! Tired of charging your phone the old-fashioned way? If that's the case, there are loads of wireless charging devices that eliminate the hassle of cords and ports, and fortunately, one of these gadgets is enjoying a big discount at the moment. The Qi-enabled mophie wireless charging pad is typically selling for around $40, but you can currently grab one for a much cheaper price! Best Buy has slashed the price to $19.99, the lowest we've seen to date! This product is marketed as especially optimized for Apple's iPhones. 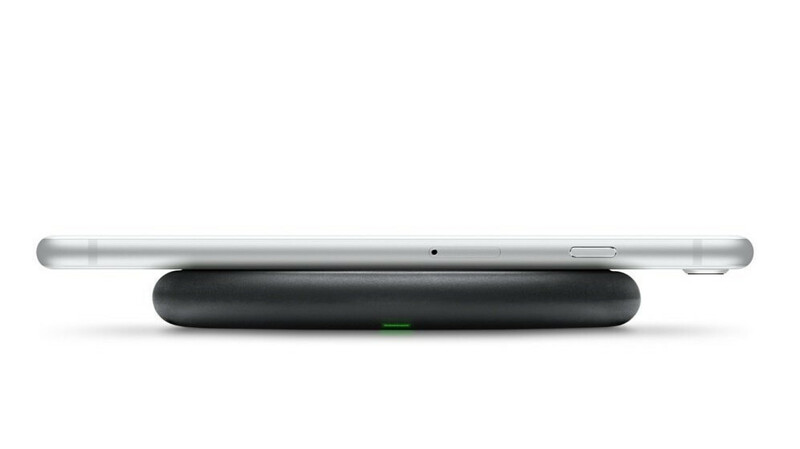 It leverages Apple wireless technology to deliver quick charging speeds with up to 7.5W of power. However, the device also works with any smartphone that is compatible with Qi, including the newer high-end Samsung models, Google's Pixel phones, etc. All you need to do in order to use the pad is to connect it to a charging cable and then place your phone on the stand. There's also a wall charger included in the bundle, so you won't have to use your own to power the device. A built-in LED indicator will alert you if your handset is not properly aligned and when a good charge alignment is acquired. If this deal arouses your interest, the link to Best Buy can be found above. Only very few care about inductive charging. I rather have aluminum rear panel back. I care very much for wireless charging. It's my near exclusive method of charging but no one should buy a sub 15watt charger.